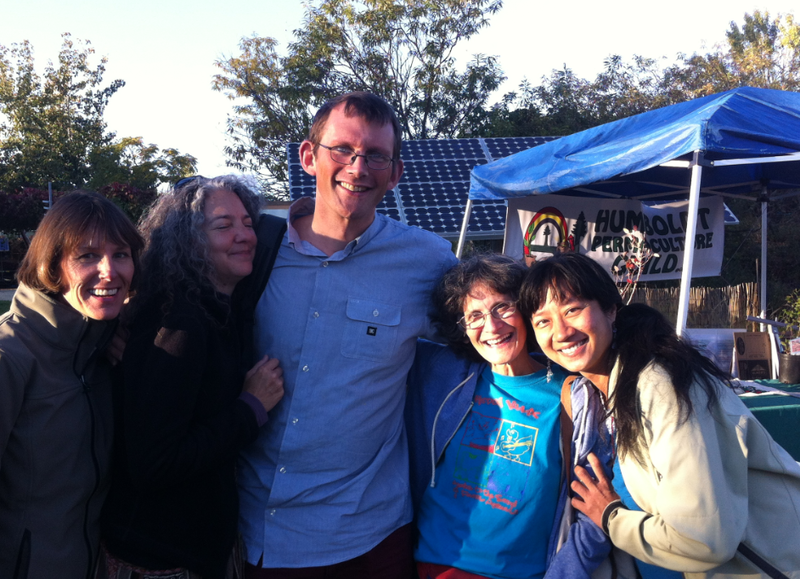 It was the first ever Transition – Permaculture Convergence – at the Solar Living Institute in Hopland, CA. Transition founder Rob Hopkins was there, along with leaders and activists from the Bay Area, California, and beyond. Speakers included peak oil expert Richard Heinberg; Andy Lipkis of Tree People; environmental activist Julia Butterly Hill and Doria Robinson of Urban Tilth. With the threats facing the world, we need to step things up, to do more to make our communities thrive. Environmental justice and social justice are all of a piece. Exploiting resources and exploiting people are all the same story, and solutions must address both. Trans-local partnerships can tie together local efforts across regions and nations. If you get support of others beyond “the choir,” it’s necessary to talk their language, and maybe even dress like them. Permaculture principles are a rich foundation for resilient solutions. Hopland, California Oct 11-13 2013.